After a fire, Berkeley's fanciest Chinese restaurant is back and better than ever. The steamed surf clams are huge and oh so tasty. Hours: Wed.-Mon. 11:30 a.m.-2:30 p.m., 5-9:30 p.m. Steamed Surf Clams ... $7.95/lb. A moment of silence, please, in remembrance of the kitchen fire that raged through Berkeley's Great China back in 2012, resulting in the restaurant's closure for well over a year. May those dark, Peking duck-less days never return. The titan of regional Chinese cookery finally reopened this past December in a new, modern-looking space located around the corner, in a former Looney's barbecue joint that has been rebuilt from the ground up. The new digs lack the creaky charm of the original, which was housed in a quirky old split-level where the ladies who took your order might scold you for asking too many questions, and where first-time visitors would often be stunned to find a prize-winning wine selection (much of which, sadly, was lost in the fire). Now, the main dining room has the sleek, minimalist look of a high-end cafeteria. It's bigger, with room for 150 diners. And the service is better, too: The food comes out faster, and you're less likely to wait for your check or for a refill of your water. An actual host stand, with two hosts working at all times, has replaced the old front-of-house system (a pad of paper), which is fortunate because if anything the crowds of people clamoring to score a table have gotten even larger. Word to the wise: Show up as soon as the restaurant opens. All the changes make Great China 2.0 even more "Western-friendly" than ever, but if anything the food strives toward greater authenticity, as several Americanized dishes have been eliminated. 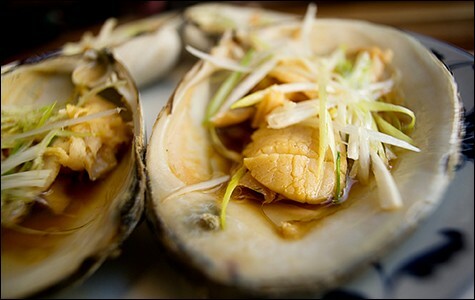 The main influence is the cuisine of Shandong, the northern coastal province that is the ancestral home of the Yu family (which has run the restaurant for nearly thirty years), but the menu is fairly broad-ranging in its regional specificity. James Yu, who runs the front of the house, told me that his father, Ching, the original chef, grew up in Pusan, Korea, so there is a smattering of Korean-Chinese dishes — jajangmyeon (noodles in a thick black-soybean sauce) and fried sweet-and-sour beef — and complimentary home-style kimchi, served upon request. Less adventurous diners will find better-than-average versions of standard dishes like walnut prawns and stir-fried vegetables (the garlicky, sautéed snow-pea leaves, now in season, are especially nice). Mostly, though, the menu skews toward the cuisine of northern China. The most popular item by far is the Peking duck, which I ordered during at almost every visit to the old Great China. It's a showstopper of a dish, the best version I've encountered in the Bay Area, with shatteringly crisp skin and tender meat, served with plum sauce and a pile of thin, delicate crepes. If you're dining with two people, a single order is pretty much a complete dinner. But for the sake of journalism, I decided to branch out and explore other, more understated pleasures. 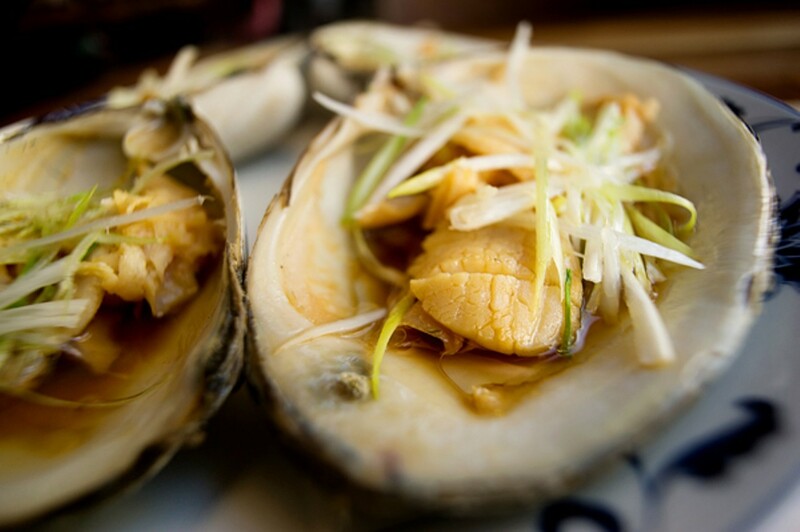 Many of the best dishes at Great China highlighted the bounty of the sea. Fish dumplings featured a gingery, delicate filling made with hand-cut basa — not the machine-processed fish mousse you typically get at restaurants. And another of my favorite appetizers, an order of baby Pacific oysters — a particularly tiny, flavorful variety that the restaurant sources from Korea — were perfectly fried, with a thick tempura-style batter. Bite into each of these crunchy little nuggets, and you get a briny burst of ocean flavor. Almost all of the items mentioned here are conveniently marked on the menu as house specials; stick to those, and you're almost certain to eat well. Another of my favorites was the steamed surf clams, which are priced at $7.95 a pound and are huge. The cooks slice the meat thinly and steam it, then present the tender-chewy sliced meat on the half-shell topped with slivered scallions and hot oil — the traditional condiments for Chinese steamed fish. Scoop some white rice right into the shell so that it soaks up all of that oily sauce. It's not health food, but it's tasty. Perhaps the most unusual of the restaurant's signature dishes is sautéed Dungeness crab that Yu said was inspired by something his father saw served at another restaurant, but with fake crab. At Great China, almost an entire crab's worth of meat gets tossed in the wok with egg white and a ginger-herb sauce, so that you end up with a kind of crab slurry — light and herbaceous, the delicate flavor of the crab still shining through. The server brings the dish to the table with a raw egg yolk on top, which gets mixed in tableside, to bind it all together. Spoon the mixture into puffy steamed buns, and what you wind up with is not unlike a Chinese reinterpretation of a crab roll. Great China has, of course, long been the rare Chinese restaurant where ordering a glass of wine feels natural — thanks in large part to a world-class list that Yu curated over the years. Even now, with an abbreviated selection, Yu said that oenophiles often email him to set up the special wine-pairing dinners he'll do for parties of eight or more. You tell him what kinds of wine you're interested in drinking, and Yu, whose training was as a sommelier, will pair them expertly with complementary dishes. How many other Chinese restaurants in Berkeley offer that kind of experience? It's no wonder, Great China, that you have been sorely missed.